It’s beginning to feel a lot like winter! While many bird species migrate south during this time of year, there are quite a few that stick around through the cold and snow. 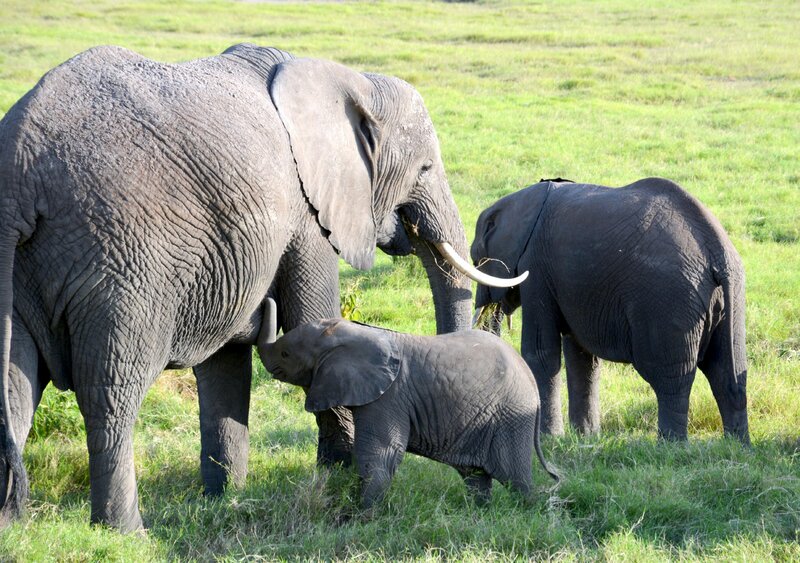 As you can imagine, this weather limits the food they can find around the area. 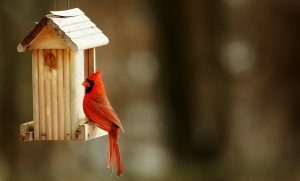 Adding a bird feeder to your backyard can be a great help to all of our feathered friends, while also giving you a glimpse at the wide variety of species that we have in the area. 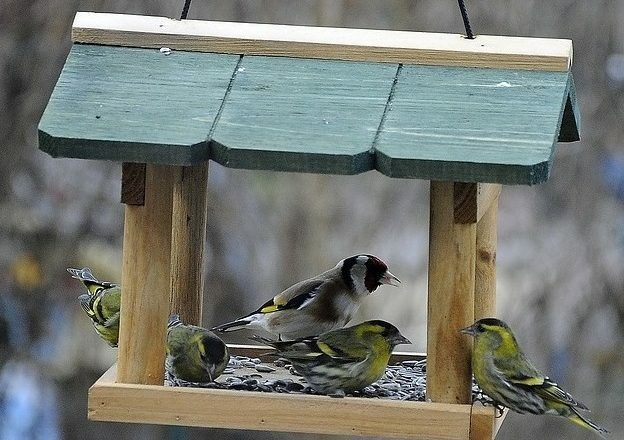 With a large variety of birds there comes a variety of feeders and food types. 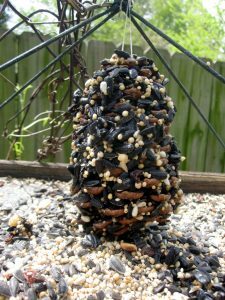 The best type of bird feeder is one that is sturdy enough to handle winter and squirrels, tight enough to keep seeds dry, and easy to assemble and keep clean. Hopper feeders are good for any type of seed and bring in a large variety of species. If you are more interested in smaller birds like finches and sparrows, you may want to get a window or tube feeder that allows them to hang onto the sides and pick small seeds out of the mesh. 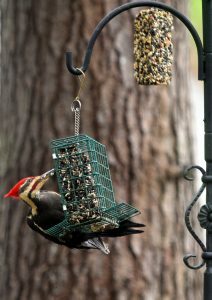 For those of you with a lot of woodpeckers around, try a suet feeder. These can be frames made of mesh, wire, or even just holes in a tree trunk that hold suet or peanut butter. Just as feeders can be specialized toward certain bird types, food is as well, so it’s important to find the types of birds that are around you and the kind of food they need. Black oil sunflower is a very popular winter pick. With a thin shell and a high fat content, they bring a lot of different birds and help keep them warm through the winter. Safflower has a thicker shell, making it more popular with cardinals and grosbeaks and less appetizing to squirrels. Thistle, small needle-like seeds, are extremely popular with small finches and great for window or tube feeders. Suet is a block of high-fat, high-protein diet that can include a base of peanut butter and a variety of seeds mixed together. 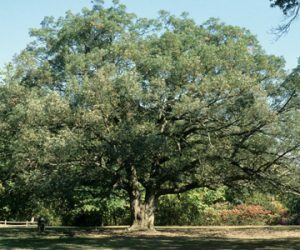 These are great for many types of birds, especially larger birds like woodpeckers that usually eat insects and other protein. 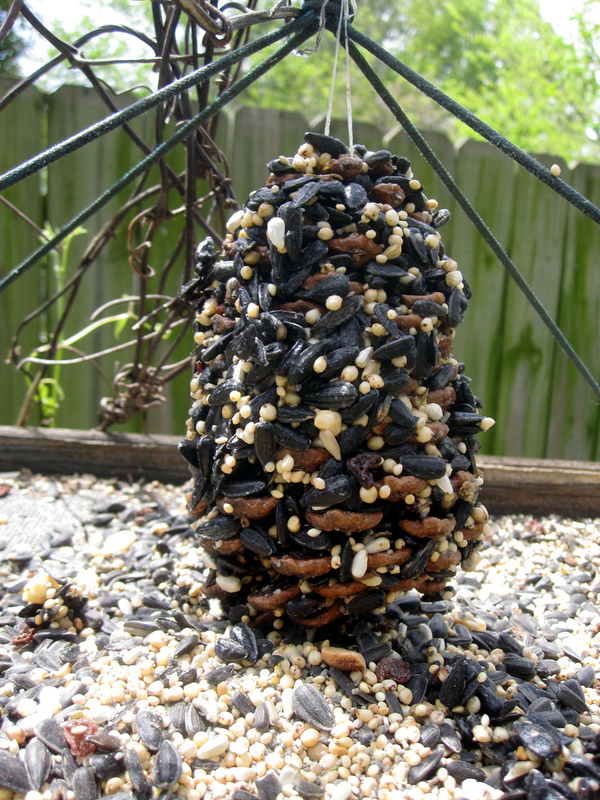 You can even learn how to make your own suet birds feeders here with string, pine cones, peanut butter and bird seed! 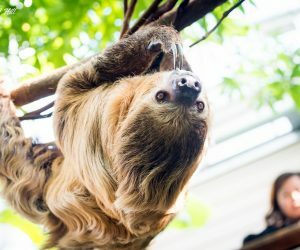 Once your feeder is up and the food is ready, you can be an actual scientist in your own backyard! 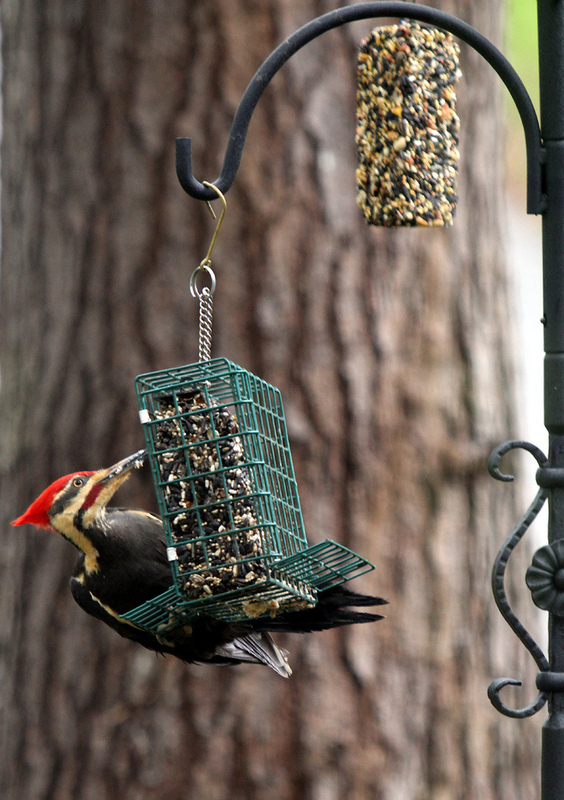 By simply looking out your window and counting the birds at your feeder, you can add to the FeederWatch citizen science project to help keep track of range and population sizes of different species. While you work to make your home more winter-bird friendly, we are doing some work to our own bird house here at the Zoo! Wings of the World will be closed until March while we improve the experience for guests as they meet our feathered friends that live here all year long, so be sure to come visit once the renovation is done! Don’t forget water for our feathered friends. I put a simple heater in the bird bath and it attracts more visitors than my bird feeders, especially when there is snow! Wow, you give the very nice idea as I have a backyard where most of the birds come but I never think about this. But after reading your article now I feed these birds. Thanks for sharing.